Equally at home in a multitude of musical idioms, Allen Vizzutti has visited 40 countries and every state in the union to perform with a rainbow of artists and ensembles including Chick Corea, 'Doc' Severinsen, the NBC Tonight Show Band, the Airmen Of Note, the Army Blues and Army Symphony Orchestra, Chuck Mangione, Woody Herman, Japan’s NHK Orchestra and the New Tokyo Philharmonic, the Budapest Radio Orchestra, , the Saint Paul Chamber Orchestra, the Leipzig Wind Symphony and the Kosie Wind Orchestra. Performing as a classical and a jazz artist, often in the same evening, he has appeared as guest soloist with symphony orchestras in Tokyo, Germany, St. Louis, Seattle, Rochester N.Y., Syracuse, Milwaukee, Buffalo, Phoenix, Croatia, Slovenia, Edmonton, Vancouver and Winnipeg to name a few. Music lovers in Germany, Poland, England, Sweden, Brazil, Canada, Japan, Australia and the United States have heard his brilliant sound over the airwaves of national television. Allen's status as an artist has led to solo performances at the Hollywood Bowl, Carnegie Hall, Newport Jazz Festival, Banff Center for the Performing Arts, Montreaux Jazz Festival, the Teton, Vail, Aspen and Brechenridge Music Festivals, the Charles Ives Center and Lincoln Center in New York City. Allen's solo jazz recordings include CDs such as, "Ritzville", (Village Place Music), and “Trumpet Summit” and “Skyrocket” from Summit Records. Classical CDs currently available from DeHaske Music Publishing Recordings are “The Emerald Concerto and Other Gems”, with the Budapest Radio Orchestra, “Vizzutti Plays Vizzutti” and “Vizzutti and Soli On Tour”. His “High Class Brass”, (available on iTunes), is a wonderfully unique classical and jazz blend co-produced and performed with fellow trumpet artist, composer and conductor, Jeff Tyzik along with a 90 piece studio orchestra. Also of interest are “Baroque and Beyond”, from Sony, “The Carnival of Venus”, (Summit Records), and “A Trumpeter’s Dream, (Ludwig Music Publishing). 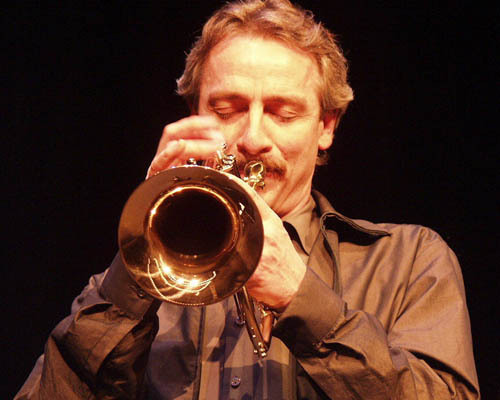 As Artist in Residence, Allen has taught at the Eastman School of Music, the Banff Center for the Performing Arts, Kansas State University, Ohio State University, West Texas State University, the Skidmore Jazz Institute, and the Trompeten Akademie of Bremen Germany. He is currently Artist In Residency at the University of South Carolina. His extensive treatise, “The Allen Vizzutti Trumpet Method” and his “New Concepts for Trumpet”, (Alfred Music Publishing), have become standards works for trumpet study world wide. Many more of Allen’s jazz and classical books, play along recordings, and student and recital compositions are published by DeHaske/Hal Leonard, Southern Music, Village Place Music and Ars Nova. His writing includes solo pieces for flute, clarinet, saxophone, trombone, tuba, and harp, chamber groups, wind ensemble, jazz ensemble, and symphony orchestra. While living in Los Angeles during the 80’s, Allen performed on over 100 motion picture sound tracks, (such as Back To The Future and Star Trek), as well as countless TV shows, commercials and recordings with such artists as Frank Sinatra, Barbra Streisand, Neil Diamond, Chick Corea, the Commodores and Prince. His soaring sounds can be heard on recent projects including the movies "Furry Vengeance", “40 Days and 40 Nights”, “Unfaithfully Yours”, Gridiron Gang”, “Scary Movie Four”, and the “Medal of Honor", "Gears Of War 3" and “Halo” video games. ALLEN VIZZUTTI IS A YAMAHA PERFORMING ARTIST.